There are many ways to make a neck. This is my current method. I use quarter sawn Spanish cedar or Honduras mahogany. 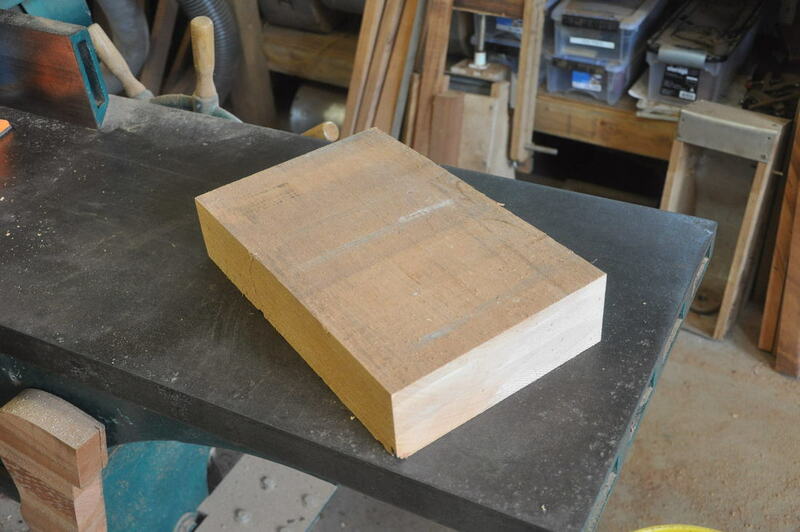 It all starts with a block of wood. 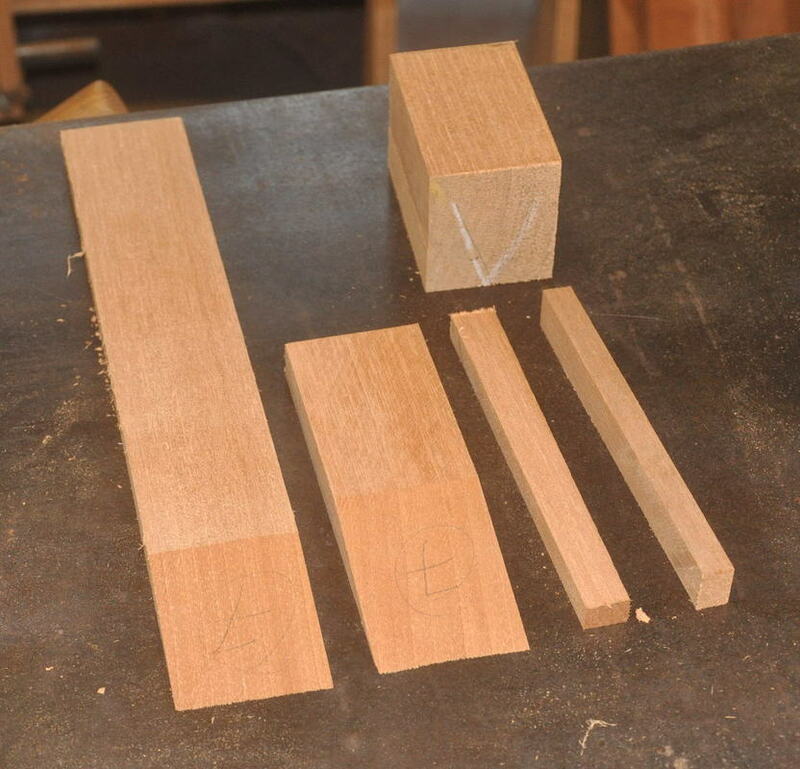 Here are the 5 pieces that it takes to make a neck. By adding on separate ears to the head, you use much less wood than if you left the whole neck shaft wide enough to make the headstock. 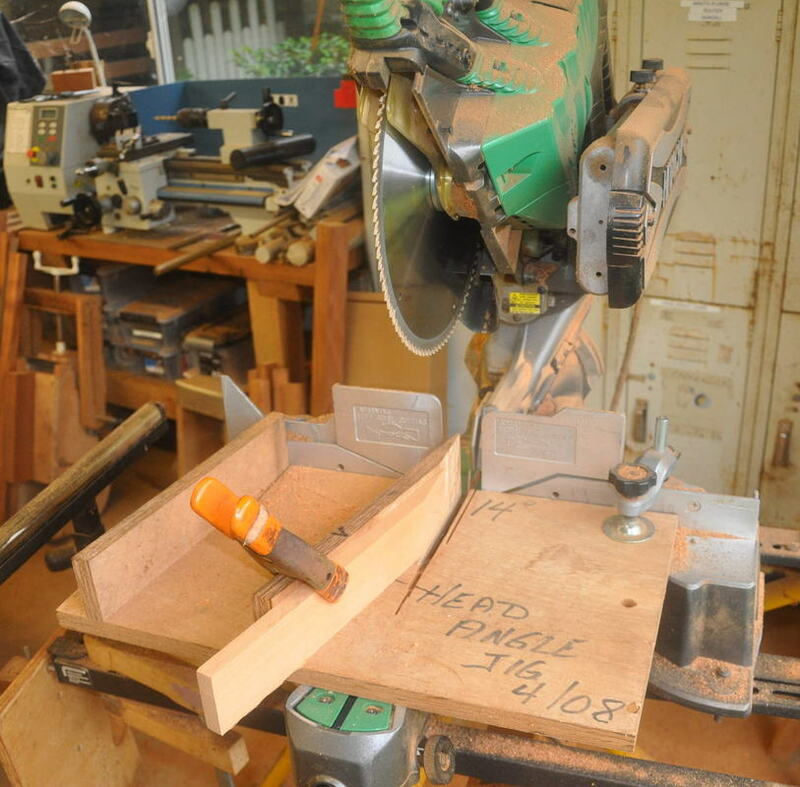 The ears also cover and strengthen the scarf joint that joins the head to the neck shaft. 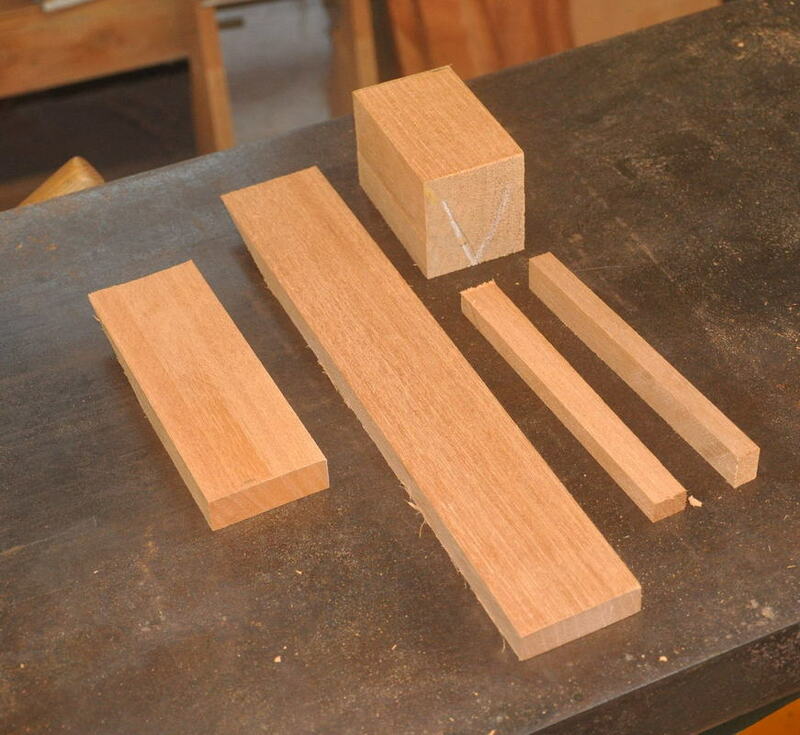 I have cut the 14 degree scarf joint in many ways over the years. You can a bandsaw and hand plane it, use a tables cut by hand with a backsaw or Japanese saw, or use a chop saw as I do now. 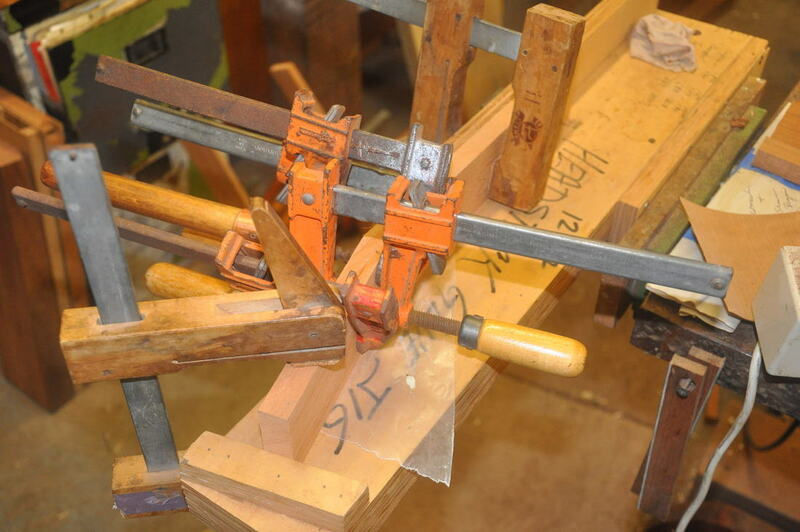 If you set up the chop saw correctly, it will cut a perfect scarf joint, ready to glue up. If you use a sliding chop saw, make sure to lock the slide so the blade does not jump out at you! Here you can see the 14 degree scarf joint. 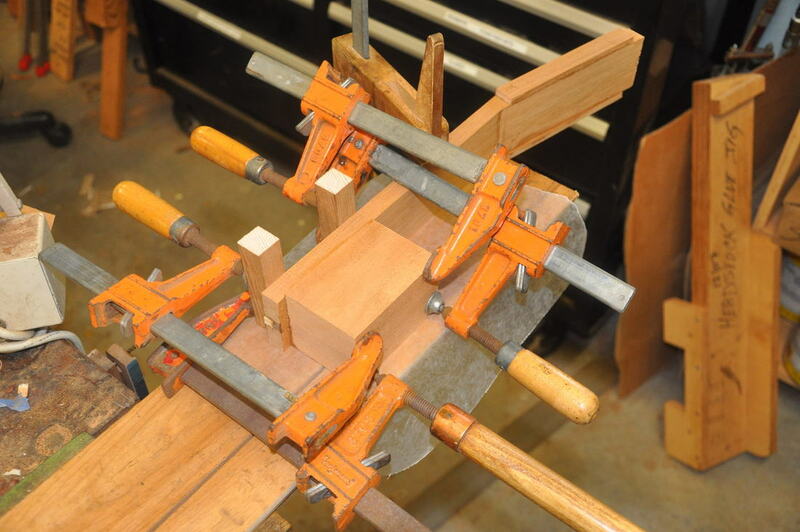 Unless you are in production, the best way to glue the scarf joint is to use 4 clamps. I've tried many jigs, and I think the clamp method is good as any. Main thing is that it always works! Same thing with the ears. No jig needed. 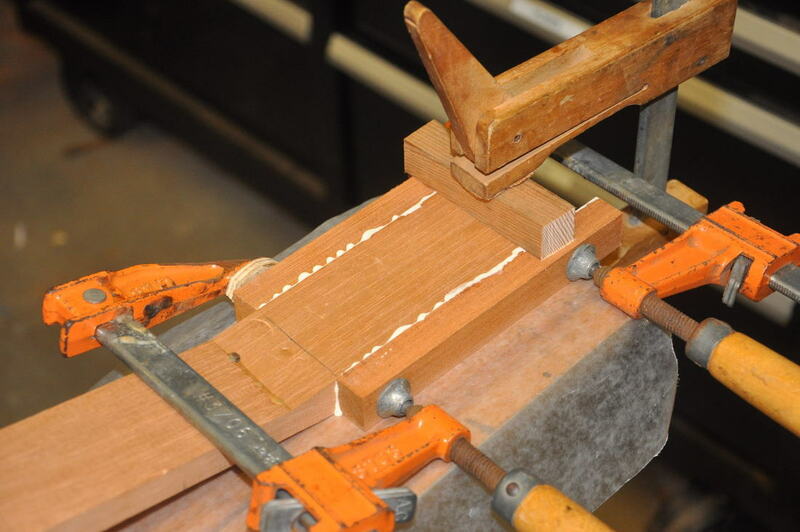 When you glue on the heel block, make sure to use cauls on the fretboard side of the neck so as not to dent it with the clamps. 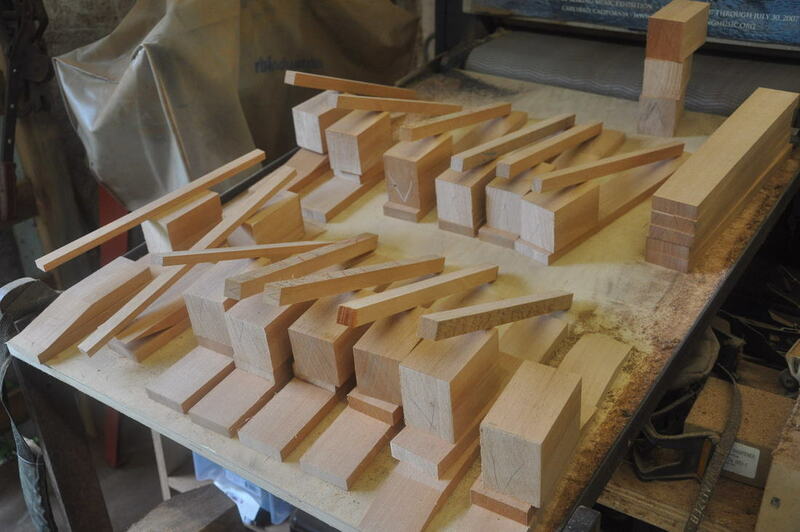 Decide if you will have a 12 fret or 14 fret neck and what kind of neck joint you will have before you glue the heel block on. 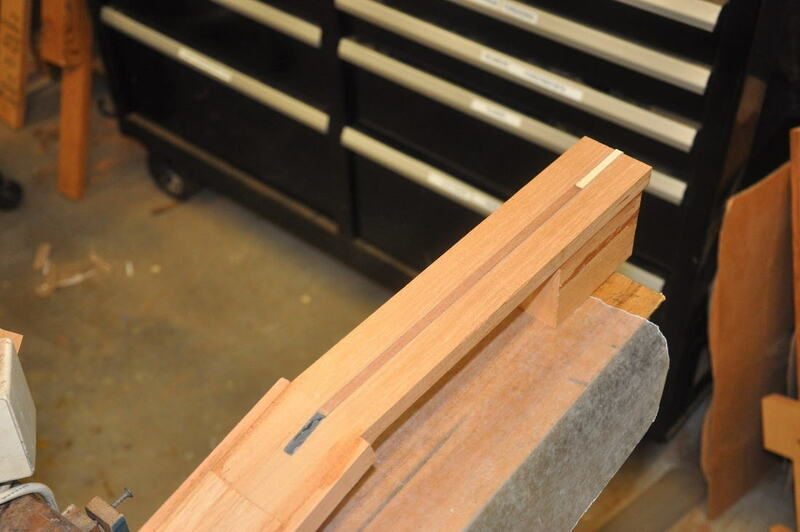 Make sure you have a long enough neck block to make the joint you want. Many of us use carbon fiber neck reinforcements. If you decide to do that, use a router or table saw to cut the slot BEFORE you glue the ears on the head. 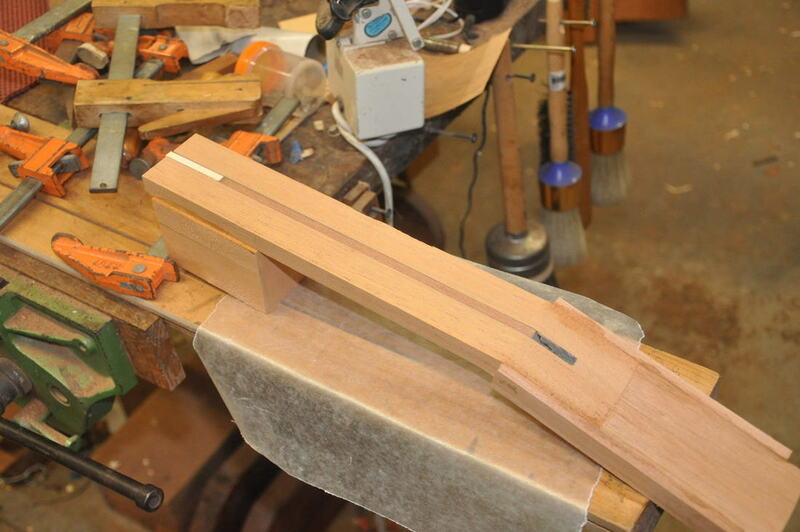 I bury my carbon fiber about 1/8" below the neck shaft surface to allow me to level the neck if necessary. Also make sure you stop the carbon fiber short of the heel end of the neck. Carbon fiber is death to tools and you don't want to try to chisel or rout it.